Take the stress out of the car buying process. You'll always get the most for your money! Customers come from all over for our vehicles!! Drive time to savings!!! 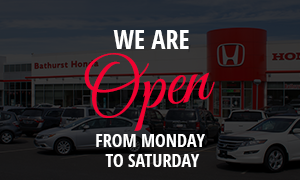 At Bathurst Honda we are shopping the internet for you every week, to make sure we offer the MOST COMPETITIVE VALUE in New Brunswick. We are proud to work for you and our sales consultants focus on giving you the BEST car buying experience. Average transportation cost : We are selecting the BEST vehicle from everywhere in Canada. Our administration fee includes the average transportation cost to import these unique vehicles. Preparation : We make it important to deliver your newly acquired vehicle in BEST possible condition. Every vehicle is washed and prepared by our detailing department to give it back it's brand new look. Marketing : To make sure we are regularly renewing our selection of quality used vehicle, we uniquely merchandise each unit to turn it in less than 30 days. 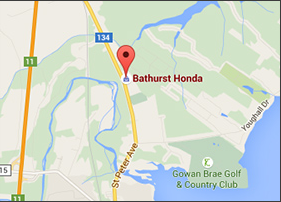 At Bathurst Honda, a used vehicle never stays long. Documentation Fee : We advertise a no surprise transaction. All dealers processing fees are included in our Service fee, to eliminate all the hassle associated to a conventional car buying experience.